The slits weren't very high when I bought this, knowing the way I wanted to wear it.. I got my mum to open the seam up to the hips and hem up the frayed edges. Also, as I didn't want it too fitted I got a size 14..
therefore it was really long on me so I used a belt on my waist and pulled up the dressed to cover the belt so it pulled up the length. I have worn this with a turquoise maxi skirt which I will post soon. Hope you guys have enjoyed the weather in england! love it..fantastic idea to have the slip higher and under layer it with colour..
love it :) you're such an inspiration mashaAllah. Are the slits on one side only or both? They are on both sides... they have them everywhere now.. 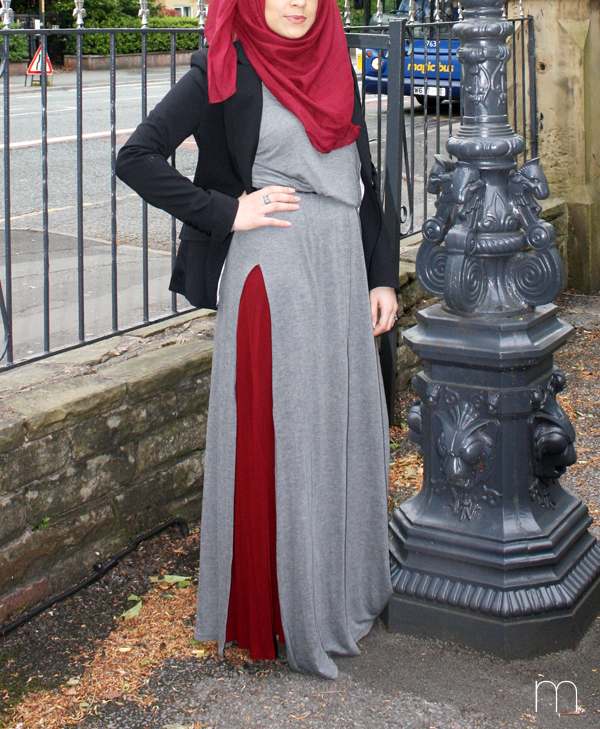 I use to get so frustrated when I saw a maxi and liked and then realised it had slits.. so glad I managed to make it work in a hijabi friendly way. 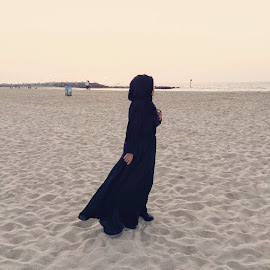 MashaALLAH sister you look modest and still carry your own style well. Nice blog. 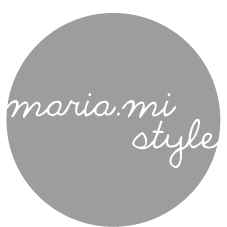 Keep in touch inshaAllah I blog from time to time on my style of clothes too. Peace!